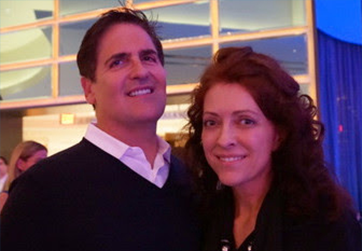 Client Angela Oberer posed for a quick pic with Mark Cuban after she pitched Cuban her show. MSRP for the old version of our home study course was $575. We periodically discounted it to $397 + s&h. Our new digital DIY TV Pitch Kit is ONLY $200. You Only Pay $200 USD! Credit card purchases are processed by WePay. You are protected by integrated fraud technology and full compliance. Plus, we NEVER share or sell your contact info. TVPK Copyright © 2016. All rights reserved.